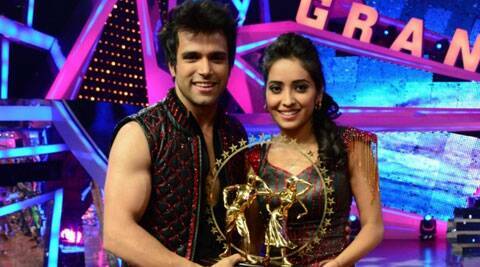 'Pavitra Rishta' famed couple Rithvik and Asha emerged victorious in the sixth season of 'Nach Baliye'. 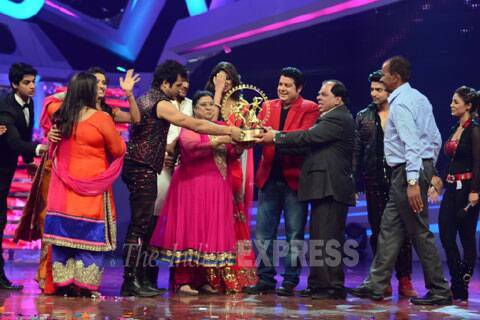 ‘Pavitra Rishta’ famed couple Rithvik and Asha emerged victorious in the sixth season of ‘Nach Baliye’. In a fitting grand end to the sixth season of celebrity dance reality show ‘Nach Baliye’, popular television couple Rithivik and Asha Negi were declared winners. After three months of scintillating performances Rithvik and Asha took the golden trophy home having won the finale with majority of votes. The couple of ‘Pavitra Rishta’ fame emerged victorious after defeating competitors Debina and Gurmeet Kohli, Ripu-Shivangi and Vinod-Raksha. In addition to Rs 35 lakh cash prize and a new Renault Duster, Rithvik and Asha have also won a Gold Coast (Australia) trip courtesy ‘Shaadi Ke Side Effects’ film. The winning choreographers Vibhav and Bhavana too were awarded Rs 5 lakh. The Grand Finale also saw some outstanding performances by the celebrity couples and never seen before acts by judges – Terrence Lewis put on a saucy act on ‘Haye Rama Ye Kya Hua’ and ‘Lahu Mu Lag Gaya’. Shilpa Shetty Kundra for the first time performed an aerial act and grooved to ‘Ram-Leela’ number ‘Ram Chahe Leela’. The stage also marked the first ever television performance by successful director – Sajid Khan on an amalgam of songs from his movies. Bollywood actors Farhan Akhtar and Vidya Balan had also come to promote their film ‘Shaadi Ke Side Effects’. Taking a cue from their soon-to-release movie and of course sharing personal experiences, the two spoke to the couples about ‘Shaadi Ke Side Effects’ creating a laugh-riot!